John Mellencamp in Montreal or Quebec City? 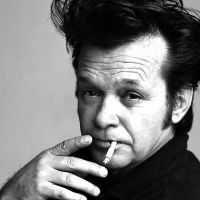 Inform me about the next events for John Mellencamp. Enroll yourself to our priority waiting list for John Mellencamp to be alerted when new tickets are available. Filling this form doesn't engage you to any purchase. John Mellencamp is coming back to Montreal on May 6th, 2015, for a concert at the St-Denis Theatre. The American singer will be performing songs from his vast repertoire, as well as new songs from his album entitled Plain Spoken, out September 23rd. In over 35 years, Johnny Cougar sold over 40 million records worldwide, was nominated 13 times at the Grammy Awards (won only 1 though) and was inducted in the Rock and Roll Hall of Fame in 2008.